Celebrating the life of Welton Gardner Cashion, Jr.
Be the first to share your favorite memory, photo or story of Welton. This memorial page is dedicated for family, friends and future generations to celebrate the life of their loved one. 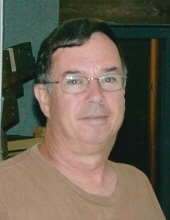 Obituary for Welton Gardner Cashion, Jr.
Welton G. Cashion, Jr. "W.G. ", 67, of Powhatan, went to be with the Lord April 1, 2019. He is survived by his wife of 46 years, Barbara M. Cashion; his daughter, Wendy C. Stinnett (Jason) of Powhatan; two grandchildren, Jessie and Jayden. W.G. retired from Va. Air National Guard 192nd Fighter Wing after 36 years of service. The family will receive friends Thursday from 6 to 8 p.m. in the Bennett & Barden Funeral Home, 3215 Anderson Hwy. (Rt.60), Powhatan. Funeral services will be held Friday at 11 a.m. in the Passion Community Church, 4480 Anderson Hwy., Powhatan. Interment Powhatan Community Cemetery. In lieu of flowers contributions may be made to Passion Community Church. To send flowers or a remembrance gift to the family of Welton Gardner Cashion, Jr., please visit our Tribute Store. 4480 Anderson Hwy. Powhatan 23139 Va.
"Email Address" would like to share the life celebration of Welton Gardner Cashion, Jr.. Click on the "link" to go to share a favorite memory or leave a condolence message for the family.